Samsung Galaxy SIII is available for Pre-Order in India. You can go to link below and book your now for Rs 2000. Be the first one to go over and get one. It does not say which date it is going to be launch, expect it soon though. 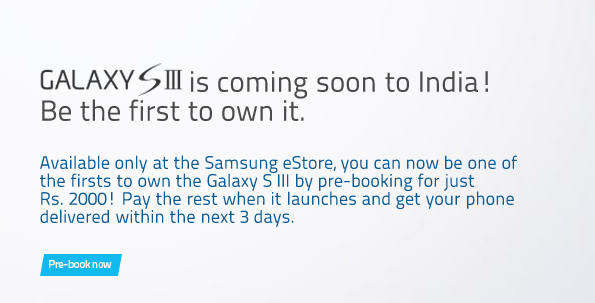 You can know more about Samsung Galaxy SIII features.